After being barred from board meetings, asked to sign a non-disclosure agreement, and “ignored” for years, Luke Weller is speaking out against Tourism Kelowna. 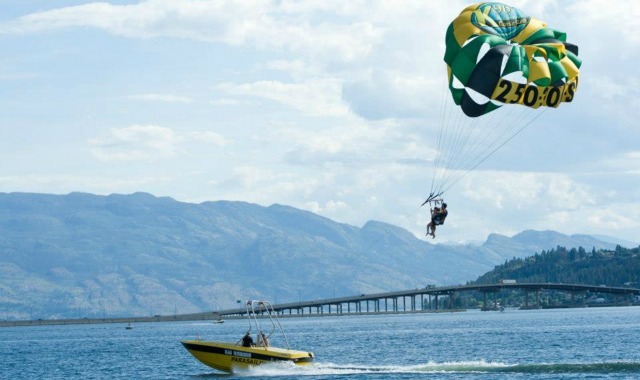 The owner of Ogopogo Parasail is spearheading a small group of Tourism Kelowna members who say the marketing organization’s new information centre will cripple their businesses. The new building will open at the foot of Queensway Avenue this year. One of its services will see staff book activities for visitors through an online system (and collect commissions for each booking it finalizes). Weller says that will put the centre in direct competition with its neighbours, who sell tickets out of a waterfront kiosk right next to the new centre. That’s a problem, he says, because those businesses are Tourism Kelowna members. Weller explains that having an information centre booking activities right next door will cut into his businesses dramatically, as people who have just blown their budgets booking tours will pass him and his colleagues by. Weller and others—like ail, Kelowna Cruises, HydroFly Kelowna, and Okanagan Adventures—are also angry at what they feel has been poor treatment by the organization, after they have spent years asking it to scrap its booking plans. At its last meeting, the Tourism Kelowna board reviewed the group’s concerns and voted to move ahead with its booking plans. No representatives from the complaining businesses were there, and it’s still unclear exactly how their concerns were represented. Tom Killingsworth, the chairman of the Tourism Kelowna board, met with Weller after the meeting to go over the decision, but the board has so far continued to refuse Weller’s request to speak to them personally. Weller is incensed by this, and says he is “amazed” the board showed no interest in hearing directly from the people its decisions stand to considerably affect. Killingsworth says the issue simply isn’t as big a deal as Weller is making it out to be. “I understand how upset Luke is getting… I understand what his approach is… but what is there to talk about?” he said. “We represent 380 businesses, and we need to be fair to all of them… we can’t just treat these businesses that are going to be next door to us now any differently,” he said. He reiterated that the board actually believes having the centre next door will benefit the businesses in the kiosk, becuase staff will be pointing visitors in their direction. “We’re all concerned every time a stakeholder is concerned… but when we reviewed this we don’t see that we’re going to have a negative impact on his business,” he said. “That package is worth about $400 to other members. I stand to lose $400 a day easily,” he said. 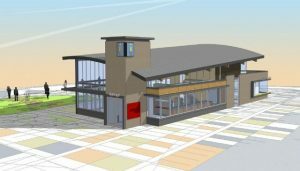 Weller and Ayn both claim the organization plans to use the money it collects through the commissions to help fund the new information centre. 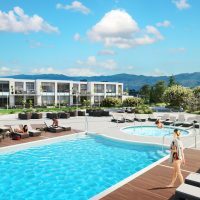 The organization is putting up the $2.8 million building without financial help from the City of Kelowna, but did receive a $500,000 grant for construction costs from the provincial government. Staff at the new centre have always booked guests for their clients, and at the new centre will expand that service to start booking for them directly over the internet. 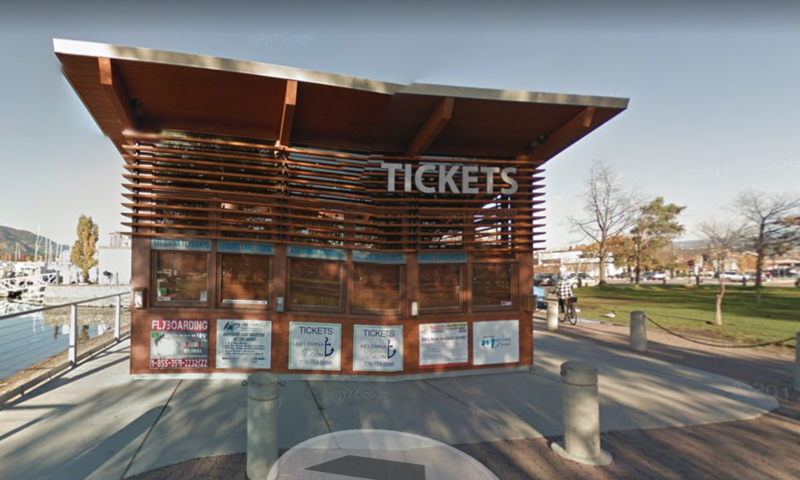 Killingsworth said the centre will charge a fee for the service, but that it will just be to cover the cost of credit card transactions and the booking software. 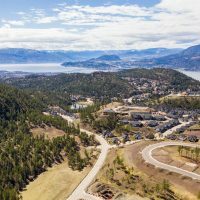 Weller questions this, and has asked Tourism Kelowna for the minutes from its last meeting so he can both review the numbers and more broadly see how his and others’ concerns were represented to the board. Tourism Kelowna has been cagey about the request. In an email, Killingsworth told Weller he would have to get the minutes approved by the board before he can release them. He also said Weller would have to sign a non-disclosure agreement if he wants to see them. Lexi called the email, which also tells Weller Tourism Kelowna staff will no longer respond to Weller’s emails, calls, or in-person visits “horrible” and “bullying,” and says she was shocked when Weller shared it with her. Killingsworth says Weller has been very vocal and very persistent in his interactions with Tourism Kelowna staff, and the NDA is a kind of precautionary measure. He adds that the NDA will explain what the purpose of the meeting minutes is. “It’s a matter of we’ve got work to do… and so I guess it (the NDA) is to try and keep moving things forward in a way that’s comfortable,” he says. At Tourism Kelowna’s next board meeting is later this month the board will vote to approve the minutes. Weller says he’s waiting to see what will happen next.